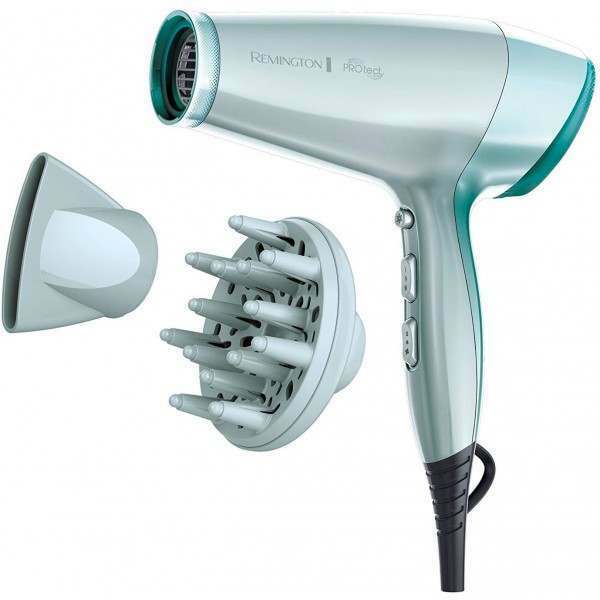 Harnessing innovative ThermoCare technology, the Remington PROtect Dryer is ideal for everyday use, as it cleverly delivers fast drying results with less heat, meaning perfect results with less heat damage and more protection. 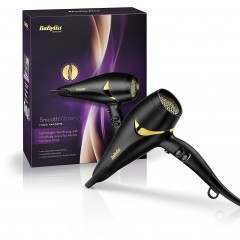 All this, without compromising on power or performance. 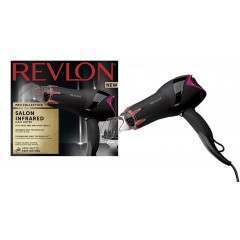 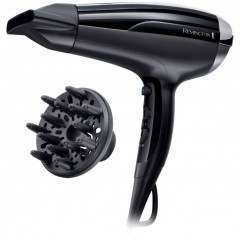 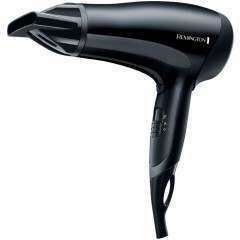 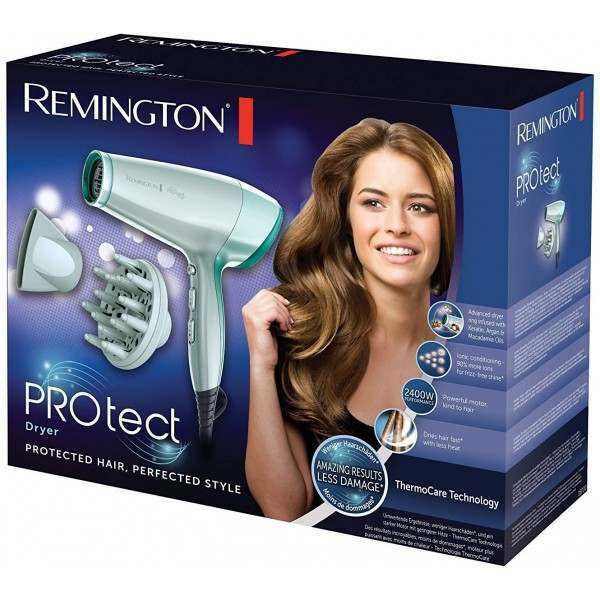 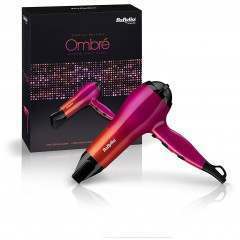 In addition, the Remington PROtect Dryer features Ionic ceramic conditioning, which delivers 90% more ions to hair and seals in moisture for frizz-free shine. 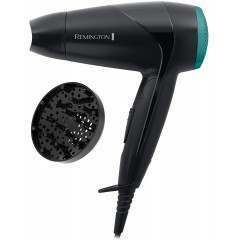 For complete drying control, choose from three heat and two-speed settings. And depending on your style or hair type, select the Concentrator attachment for beautifully smooth and sleek tresses or the Diffuser for stunning, defined natural curls.